Have you been arrested for drinking and driving under the influence in Ohio? In the State of Ohio, the legal drinking age is 21 and driving under the influence is commonly referred to as operating a vehicle while impaired (OVI). An OVI is also known as driving under the influence (DUI) and results in both criminal and administrative penalties. If a police officer stops you for a suspected OVI, you will be asked to take field sobriety tests and a chemical test. For adults age 21 and over in Ohio, if you take the chemical test and have blood alcohol content (BAC) of .08% or more, you will be considered legally drunk. BAC is a measure of the amount of alcohol in your blood. If you are 18-20 years old and are driving with a BAC level of at least .02% but less than .08%, you will be considered guilty of operating a vehicle after underage consumption (OVUAC). OVUAC penalties include up to 30 days in jail, a license suspension period from 90 days to two years and a remedial driving class. In addition, four points will be added to your license, you’ll be required to take your license exam again, and you’ll have to pay up to a $250 fine. The first time you are arrested for driving under the influence in Ohio, you will receive an administrative license suspension (ALS) for 90 days if you take the chemical test. An ALS is different from a court-ordered suspension, which can last from 6 months to 3 years on a first time DUI. The court-ordered suspension is put in place upon conviction and you will receive credit for your time spent under the administrative suspension. There is a license reinstatement fee of $475 and six points will be added to your license. Ignition interlock devices are not required for first offense drivers. If you refuse to take a chemical test, your license will be suspended automatically for one year. If your BAC level is between .08% and .169%, you must serve a mandatory 72 hours in jail or an alcohol intervention program and may be sentenced to up to six months in jail. Offenders with a BAC level of .17% and above face a minimum of six days in jail or three days in jail and three days in an alcohol intervention program. You will also be required to pay a fine between $375 and $1075. DUI fines in Columbus, Ohio do not include the costs you incur when completing the terms of your DUI sentence, such as the cost of license reinstatement and the cost of attendance in a driver intervention program. In Ohio, the look back period is six years. This means that any prior convictions within six years carry over and influence future DUI charges. If you refuse the chemical test, the look back period is twenty years. The State of Ohio has implemented strict rules regarding second DUI offenses. If a driver refuses a chemical test and it is the second refusal or offense, his or her license will automatically be suspended for two years. A second OVI charge is punishable with up to six months in jail or a combination of jail, house arrest, and continuous alcohol monitoring. An offender might be required to pay a fine of between $525 and $1625. His or her license could be suspended for anywhere from one to five years and there is a license reinstatement fee of $475. If you are caught driving while your license is suspended, you will face additional penalties. 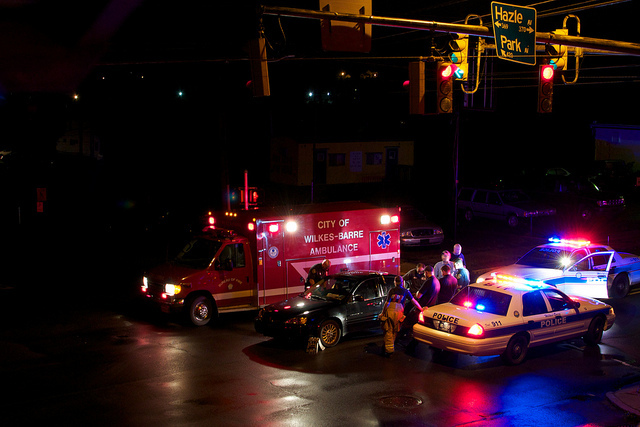 If you’re facing DUI/OVI charges in Ohio, don’t hesitate to seek legal advice. An attorney can inform you of state laws, assess the strengths and weaknesses of your case, and help reduce your DUI charge to a lesser offense, such as reckless driving. We can also help to reduce or eliminate your license suspension. Contact Maher Law Firm today to schedule a free consultation with our Columbus OVI attorneys.